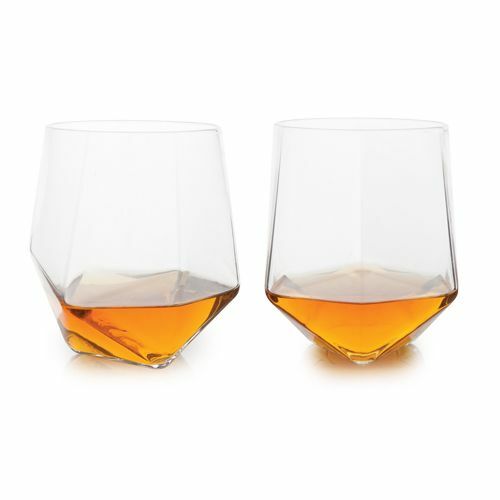 Splitting off from a triangular base, nine trigonal sides make our multi-faceted crystal tumbler uncommonly captivating. 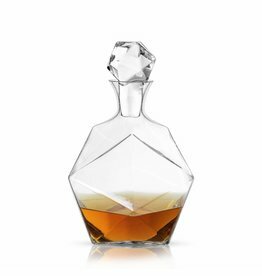 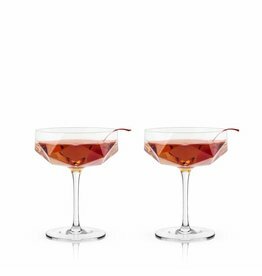 With each face sending prismatic light in splintered rays through your liquor, the glass itself rounds out smoothly as it reaches the rim for the perfect sip. 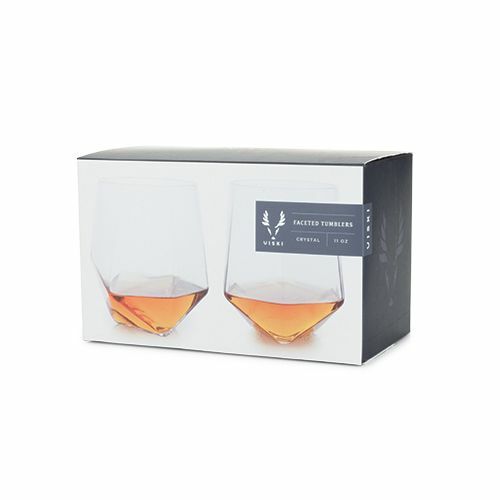 Set van 2 tumbler glazen (33 cl) van loodvrij kristal met een negen-zijdig gefacetteerd design.